It’s Thanksgiving time! Here are some tips for keeping your holiday happy and pet-safe! During Thanksgiving, we gather with family and friends to eat until we are stuffed, watch football on the big screen, and generally relax around the house while being thankful for what we have been given in life. During this time, however, do not forget about your furry friends – they need to be kept safe from a few things that you may not think about during the holiday season. 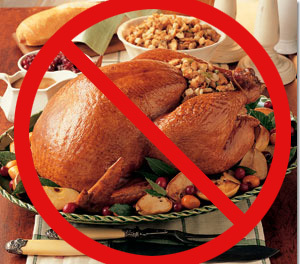 You might be hosting Thanksgiving this year or be traveling to a family or friend’s house to enjoy your meal. No matter who’s home it is, keep an eye on the front and back door if they have a pet. 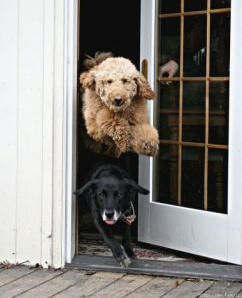 Many people have cats or dogs who may run outside the second they see the door open. A good solution is to keep your pet in a back room with some fun puzzle toys while everyone is coming in the house and then let them out to meet and greet your guests after everyone has arrived. When cooking for Thanksgiving there may be up to 10 dishes at a time in my house cooking on various stove burners, baking inside the oven, or being prepped on the counter. 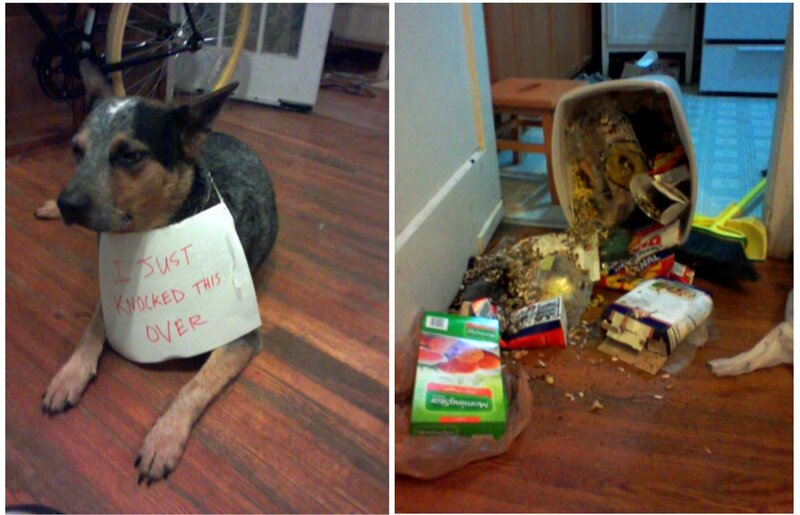 There will be food everywhere that will be tempting for your pet. There will also be potentially hot plates that your pets may not know could burn them. Try to keep your pets outside of the kitchen, maybe playing with your family or with a favorite toy, to ensure that they are not in danger of eating something they aren’t supposed to or touching a plate that is too hot. Any type of poultry bone is a danger to your dog. Bones from chickens, turkeys, and other poultry can splinter in the esophagus, stomach, or intestines of a dog which can cause them major damage and an emergency trip to their veterinarian. You don’t have to let your dog miss out on the fun, though! 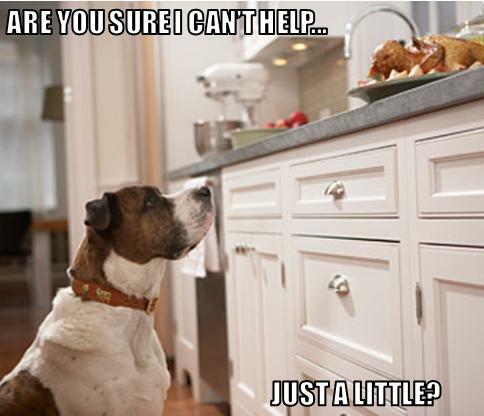 Have a dog-safe treat ready to go when your dog comes running up to the Thanksgiving table. You can even make fall-themed dog treats using peanut butter or canned pumpkin which is good for their digestion in small quantities. If your family is like mine, the desserts will consist of chocolate, chocolate, and more chocolate! However, chocolate is toxic to dogs and you do not want to be going on an emergency trip to your veterinarian during your Thanksgiving holiday! 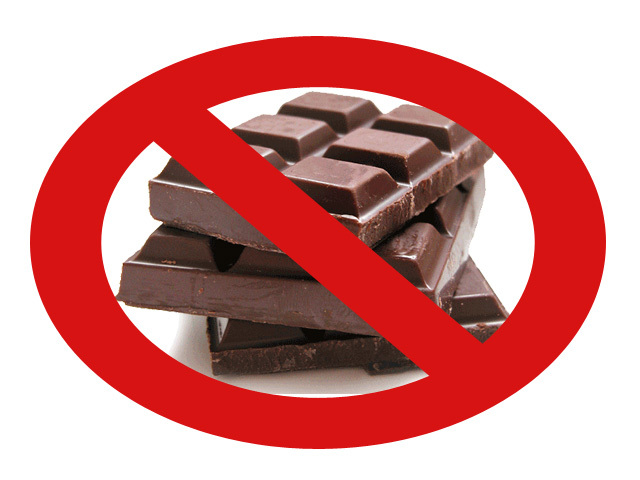 Keep the chocolate away from your dog and send it straight to me! After everything is done – take out the trash! After the meal is complete, the football game is over, and everyone is in a food coma – do not forget to put away your leftovers and take out the trash. That garbage is probably smelling amazing to your pets right now and they might just try to sneak in while you are taking a quick couch snooze to taste what is in that delightful bin. Do yourself and your pets a favor and take out the trash once you are done cleaning up the leftovers – you’ll save yourself a bunch of cleaning and keep your pets away from anything that may not be good for them to eat. 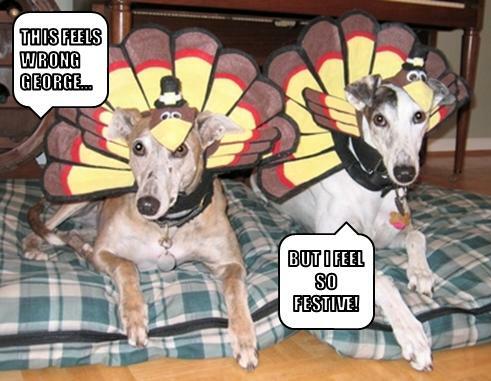 Have a safe and warm Thanksgiving from everyone here at the Houston SPCA!! 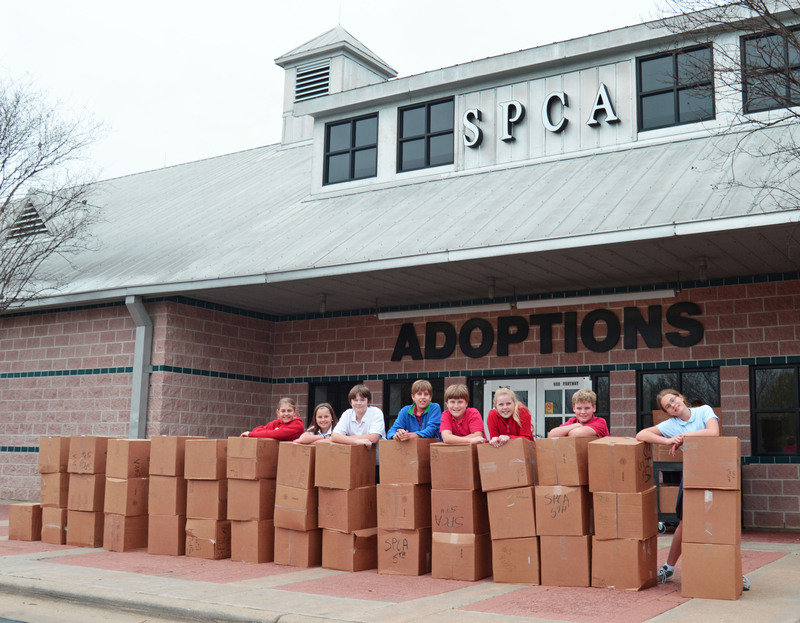 Categories: Cats, Dogs, Houston SPCA | Tags: Cat, Children and Youth, Chocolate, Christmas and holiday season, Dog, holiday, Houston SPCA, Pet, Pet Safe, Thanksgiving | Permalink.